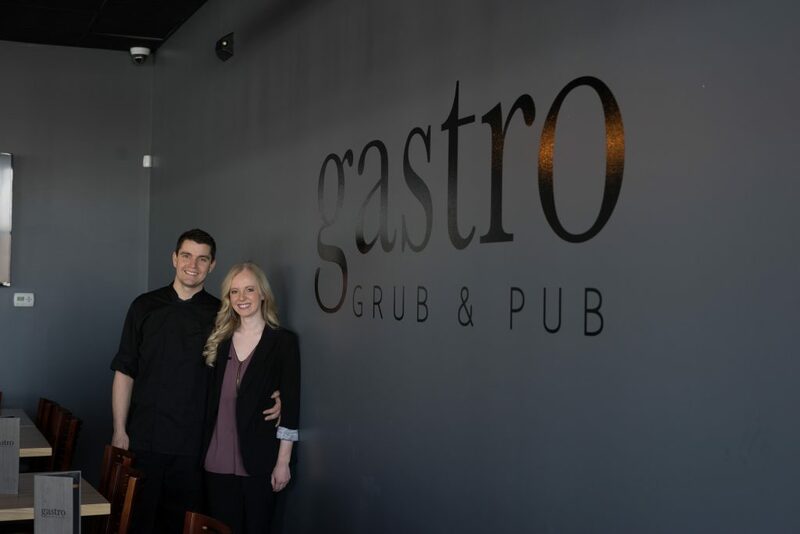 Life had been going so well for Andrea Gleason, half of the husband-and-wife ownership duo of Waukee’s new restaurant, Gastro Grub and Pub. She was planning her wedding with the love of her life, and she had never been happier. And then she was diagnosed with Stage IV cancer. “I’m sorry, what is it?” Andrea asked her doctor. “You have cancer,” the doctor said. Andrea’s mother was sitting next to her and began to cry. She and Andrea’s father had a friend who had recently died from melanoma. She didn’t know how her daughter would survive this. Andrea and her now-husband, Sean, met while working at Legends Grill in West Des Moines. She’d been trying to earn some cash to pursue her dream of becoming an actress. He’d been studying pre-med at Drake, but dropped out after losing his father—a prominent Des Moines doctor —to suicide three years earlier. She was smart, beautiful and full of life. He was handsome, brimming with untapped potential and ready for whatever life would present next. They had fallen in love instantly. A few months into dating, Andrea had told Sean she wanted to move to Los Angeles, which also would give Sean an opportunity to recreate his life. So they packed their bags and headed west. When they arrived in L.A., Andrea encouraged Sean to do something he really enjoyed. He’d always had a knack for cooking, and his mom had been urging him to become a chef since he was a teenager. “Even when we first started dating, he would cook full meals for me,” said Andrea. Sean began taking courses at Le Cordon Bleu, a culinary arts school, while working at Fig and Olive, an upscale restaurant. Andrea landed a restaurant gig at Katsuya, a popular L.A. sushi joint, and went to auditions in her free time. “I ended up spending more time at the restaurant than I did on acting,” she said. After a year at Fig and Olive, Sean left for The Village Idiot. That’s where he and Andrea had their first taste of gastro pub fare—what Andrea describes as a fusion of eclectic foods. Sean worked his way up to Sous Chef there within three years. After four years of hustling and getting a taste of the L.A. restaurant scene, the big city lifestyle began to wear on Andrea. It was time to go home. “We were working six days a week just to pay rent,” she said. road trip to visit several National Parks. When they landed in Yosemite, Sean proposed. “We were so excited, we had to get a drink just to calm ourselves,” she laughed. Back in Iowa, they moved in with Sean’s mother—with no jobs and no money. But they had a dream. “We wanted to open a restaurant,” said Andrea. With Andrea’s experience and Sean’s talent, they created a business plan and presented it to potential investors. But nobody would bite. “Who are you? You just moved back from California. You don’t have any money. Why should we go all-in when you have nothing to lose?” they were told. Andrea understood the rejection. But she also knew they weren’t giving up. About a year passed with no luck when the city of Des Moines announced it was approving food truck permits. They decided to give it a shot. With a small investment from their parents, they bought a food truck off Craigslist. By the summer of 2015, Gastro Grub was ready for customers. It was just the two of them. Andrea took orders and Sean cooked. They frequented events like the Valley Junction Farmer’s Markets on Thursdays, Hinterland and various food truck festivals across the metro. Confluence Brewery every Thursday, Friday and Saturday. The profits weren’t great, but staying open helped the couple get their name out in the community. Andrea’s mom joined their party of two, helping Sean in the kitchen. When she wasn’t on the food truck, Andrea played volleyball at The Sands, one of her favorite things to do in the summer. Her arm started to bother her, and she thought she may have hurt it playing. Then she found a lump, and Sean’s mom, a nurse, urged her to get it checked out. She was told it was nothing serious and was given several courses of antibiotics, but the lump kept growing and it became painful and bruised. Sean’s mother suggested Andrea be seen again. 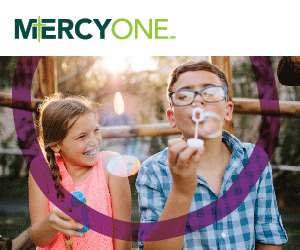 One summer afternoon, when the flow of customers had settled around the food truck, Andrea sneaked away to Mercy’s Urgent Care in Clive. “Sean’s dad helped create that facility. In some weird way, I think he sent me there to get the right tests,” she said. The doctor sent her to get a biopsy. Soon after, she went back in for the results. She told Sean she didn’t want to do the food truck anymore. “We had just booked our wedding, and now I didn’t even want to marry him. I wanted him to find someone else, so he didn’t have to go through this. I was broken,” she said. But Sean knew he wanted to be with Andrea forever—until death do they part. A PET scan showed Andrea’s cancer had metastasized in the lymph node under her arm and spread into eight more tiny tumors across her chest. She was sent to the University of Iowa Hospitals and Clinics where she qualified for a clinical trial that had cured other patients with her type of cancer. “Keep trying to live your life as much as you can,” her doctor told her. So she did. That meant, despite taking 12 pills a day, flying to Vegas for her bachelorette party and not missing out on summer festivals like Hinterland. Her subsequent scans showed the treatments were working. Her tumors were shrinking. “I felt like I was going to be saved,” she said. But right after the wedding, Andrea felt the tumor in her armpit growing larger, and her doctors confirmed her worst fears. The cancer was growing again, and it was aggressive. “It was so depressing to have this false hope that I was going to be fine. Life was going so well, and it was being taken away from me again,” she said. She said they looked for space downtown, but were worried it was oversaturated. Their realtor took them out to Waukee, and they fell in love with the space formerly occupied by Louie’s Wine Dive off University. Andrea’s doctor scheduled her for surgery for her 31st birthday to try to remove the remaining tumor in her armpit. She was told there was a chance she’d lose her arm. Luckily, she woke up to good news. “I think we got it all,” her doctor told her. Although Andrea completed radiation in early February, her doctors can’t definitively say she’s in remission until she has several clear scans. She’ll remain on a treatment called Keytruda for the next 12 to 15 months. The couple plans to donate some of their proceeds to a charity every month and is helping support the metro non-profit Freedom for Youth by using Freedom Blend Coffee in their restaurant. Andrea said they’re hoping to set themselves apart from other area competitors by taking their food industry experiences in California and infusing that into their meals and drinks. Items on their menu range from a bourbon bacon jam burger to a vegan barbecue jackfruit sandwich to pork chops and mashed potatoes.